Peter has 14 years experience of criminal law from the police investigation stage through Magistrates & Crown Courts. He provides a 24hr contact for his clients whether assaults, drug conspiracies, murders, fraud, motoring offences and more. He can attend court or voluntary Police/DWP interviews with you, and provide assistance with RSPCA, Sky or Local Authority prosecutions. CFG Law, part of the client first group, is a national firm of specialist serious injury solicitors with over 25 years' experience. They have a unique approach to injury claims and can help access funding for early treatment and comprehensive rehabilitation, ensuring the quickest and best possible recovery for their clients. CFG Law is accredited by the Law Society, APIL and are members of Headway's Solicitors Directory for brain injury, Spinal Injuries Association (SIA)'s Solicitors Directory, the Limbless Association, BASIC (Brain and Spinal Injury Centre) and RoadPeace. 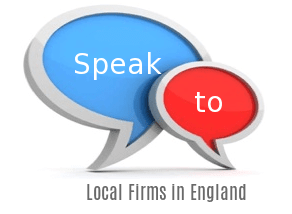 Consumer Action gives you local access to nationwide legal specialists. Founded in 2011, Consumer Action has grown an expert panel in many areas of legal advice. Taylor Rose Solicitors Limited are a multi-disciplined firm offering expertise in a variety of legal areas, for both commercial and individual clients. Distinguished by their attention to detail and dedication to client care, they aim to provide an outstanding client experience that is price competitive without compromising on quality or results: city standards at regional fees. Their staff members are also fluent in a wide range of languages such as Mandarin, Cantonese, French, Polish, Kutchi and Gujarati. Lambertpugh understand that buying or selling a property can be confusing and stressful. They promise to make the process as quick and easy as possible with a no completion, no fee guarantee. So if your transaction falls through for any reason, they won't charge you anything. They are also connected to a wide range of mortgage lenders with 95% of their clients stating they would recommend them to friends and family. They operate out of Norwich, but conveyancing can be carried out nationwide - you don't need to be able to visit the office of your conveyancing solicitor. Specialist firm of Expert Motoring Lawyers who successfully defend all types of Driving Offences nationwide. With unrivaled 100% success rates in most categories including Drug Driving, Drink Driving and Totting up, nobody is more passionate about saving your license. Free 24/7 helpline.